The Kube, located at 875 Gibsons Way, is a unique art gallery with 11 working artist studios and thoughtfully curated retail. 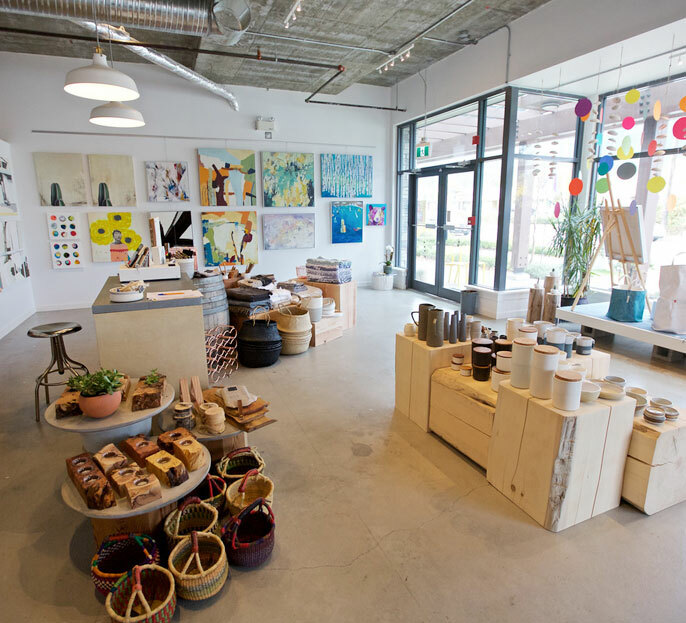 Kube’s art gallery and boutique retail space features art and hand-crafted artisan pieces from the Sunshine Coast, Vancouver, and throughout Canada. We pride ourselves on bringing in approx. 70% of our creative makers from Canada. We also carry high end quality pieces from abroad. We pride ourselves on sourcing high quality, hand-crafted artisan products. Our gallery boasts some of the Sunshine Coast’s finest contemporary artists as well as many Canadian favourites.